Perhaps you noticed a theme in that last sentence. 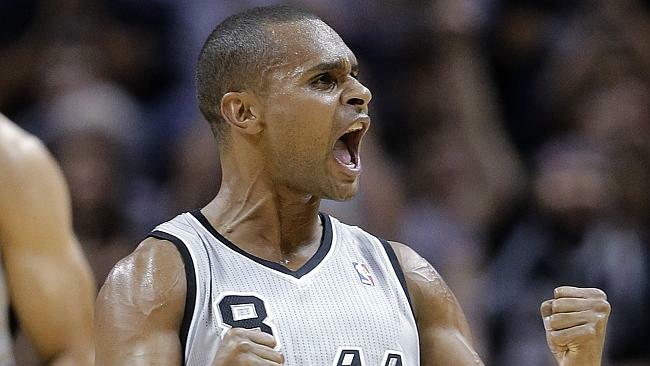 Along with the Australian, Argentinian and Brazilian the Spurs feature a couple of fantastic Frenchmen in Tony Parker and Boris Diaw, Italian Marco Belinelli, New Zealand born Aussie Aron Baynes and Canadian Cory Joseph. They are, as best we can tell, easily the most international roster in the NBA. 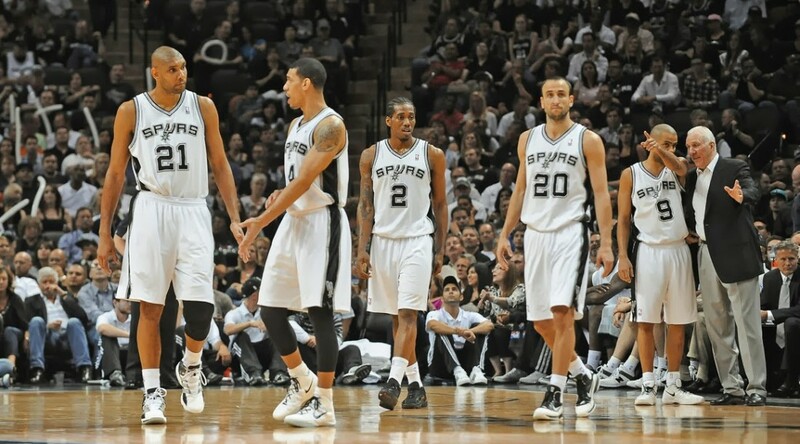 International basketball has always been known as much more of a team game than the more iso based individual centric game of the NBA, so it should be no surprise that the Spurs are known as the most ‘team oriented’ team in the league. Ball movement is a fundamental pillar of their success, something not easy to achieve on most teams where individuals seeking the limelight so often stop the ball in favor of their own scoring attempt. The brilliant Ginobli and Parker are key in that, their playmaking ability along with the underrated passing of Diaw and veteran center Tim Duncan maybe the major reason the game style is so beautiful to watch, and so incredibly successful. Speaking of fundamentals, that’s not to say that this team don’t have a couple of great American’s powering them. First and foremost is Tim Duncan, the Big Fundamental, possibly the greatest power forward in the history of the game (despite playing much of his later career at center, but hey we’re not picky) who has tonight taken another step to cementing that legacy by securing his 5th NBA Championship at 38 years of age. It’s not like Duncan was being carried along for the ride in the twilight of his career – he may have had a little more rest during the regular season than in years past but he is still the leader of this great team, and arguably still it’s best and most impactful player on both sides of the ball. The fact that he’s one of the most humble, most respectful and respected stars the league has seen has only enhanced his hard earned reputation. 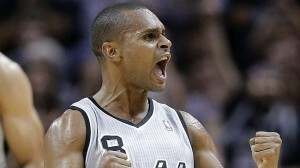 Immediately following the triumph Doris Burke asked an emotional Duncan what the keys to their success were. “Great coaching, Persistence, Drive and Love for the Game.” was his response. Perfect. Of the other key Americans on the roster shooting guard Danny Green didn’t have a great series but his 3 point shooting was a vital component to the Spurs success this season, but perhaps no player is a better pointer to the Spurs success of the past generation than Kawhi Leonard, both as a player and in the manner by which he was acquired. At the end of the 2010-2011 season the Spurs traded highly touted backup point guard George Hill to the Indiana Pacers in exchange for the pick that they would use to target Leonard. It was a bold move from GM RC Buford as Hill had become a key player for the Spurs, but when you’re a team like the Spurs who don’t often get high picks in the draft thanks to their sustained success, you have to get creative and take some risks. 3 years later Leonard, 22, is a Finals MVP after having a superior series to his direct opponent, the man regarded as the player of his generation, LeBron James. Now Buford just has to fend off the max offer sheets that will surely come for Leonard over the summer and keep him. He will. People like that don’t leave the Spurs. Finally, there’s Greg Poppovich. The long time coach pulled the right reigns again all season, and his move of getting the ever energetic brilliant shooting Mills more playing time would prove a master stroke in the finals. Pop and Timmy are San Antonio. 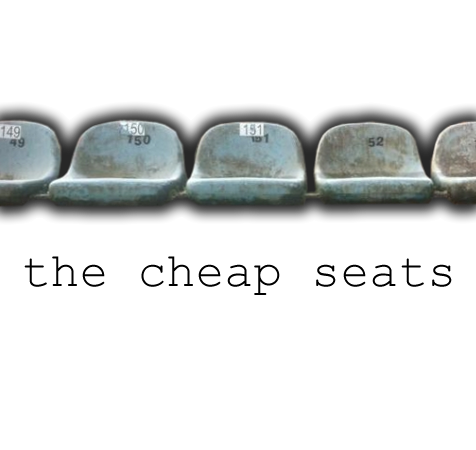 They perfectly embody the team first ethos that has driven the Spurs to such sustained success over such a long time. Don’t think it’s all flowers and hearts, Pop is more than happy to give the future Hall of Famer a fearful spray and sit him on the bench when he deserves it, and Duncan is happy to accept it from the only NBA coach he’s ever had. 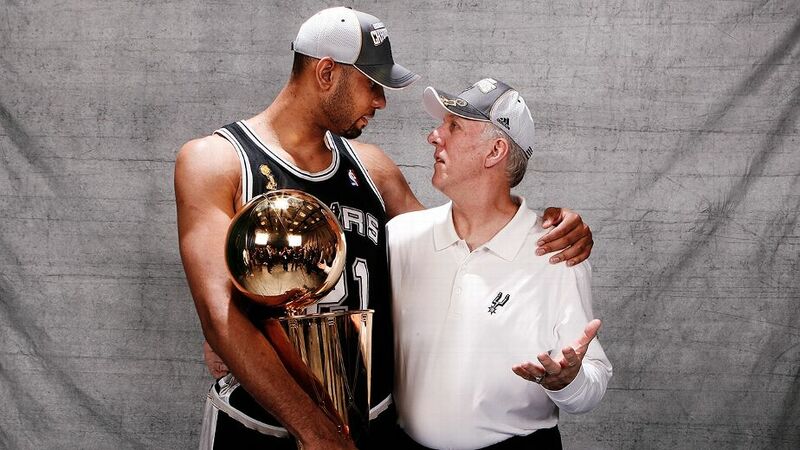 Pop’s the coach you see, and Duncan’s old school attitude demands that what the coach says goes. That respect permeates it’s way right through the Spurs organization, meaning that when new players are acquired they slot straight into the long established hierarchy and behavioral standards demanded despite what may have happened at other stops along their career. If the Hall of Famer is wearing a spray from the coach with a buttoned lip, you better believe the rookies and acquired journeymen will do the same. It should be no surprise that players who have had mixed results with other teams such as Diaw and Mills are playing the best basketball of their career under Poppovich, as so many others have for him before. Few greater coaches have ever paced the sidelines of an NBA court, for the NBA’s sake we hope he continues to do so for many years to come. Respect. 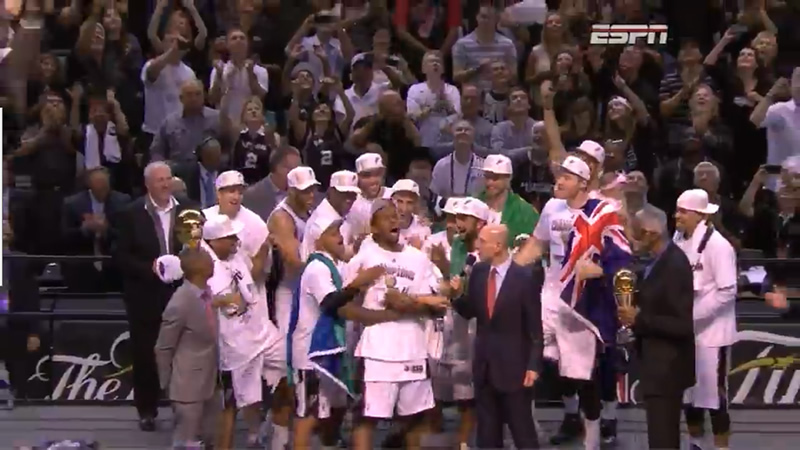 No organization in world sport deserves it more than the NBA Champion San Antonio Spurs.